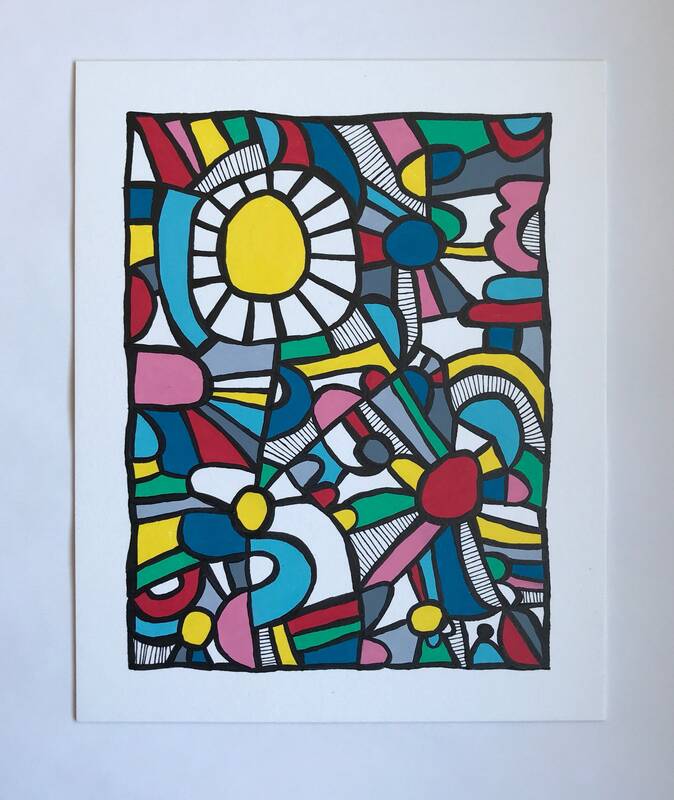 This listing is for an abstract painting using ink and pastels. It measures 10 inches by 8 inches and it will arrive unframed. Thanks for looking!